Rab LED bollard in bronze color, features die-cast aluminum construction. It has specular polycarbonate reflector for uniform light distribution. It has high temperature silicone gaskets that seal out moisture. 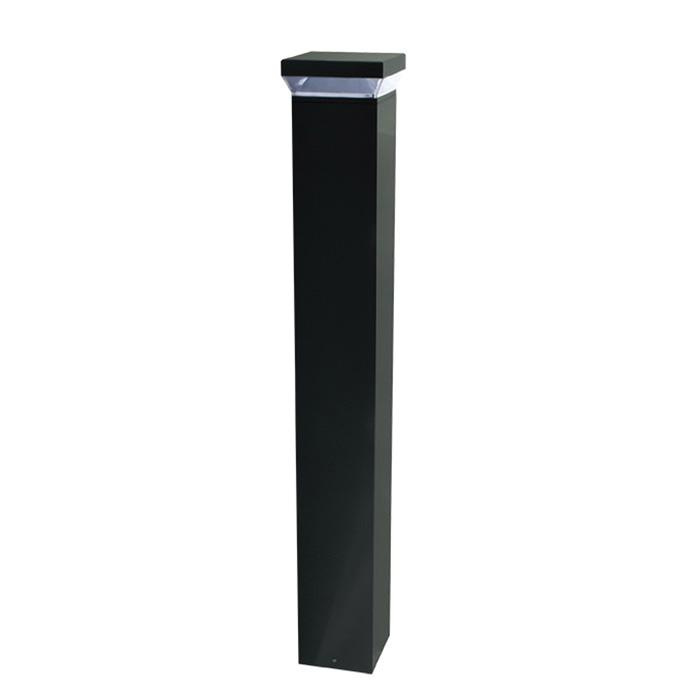 This square LED bollard accommodates 18-Watt 83 CRI 907-Lumens 3000K LED lamp. Lamp has voltage rating of 120 - 277-Volts. Anchor bolt mountable LED bollard measures 6.5-Inch x 42-Inch. It has patent-pending base mount design for super sturdy installation. LED bollard is UL wet location listed.